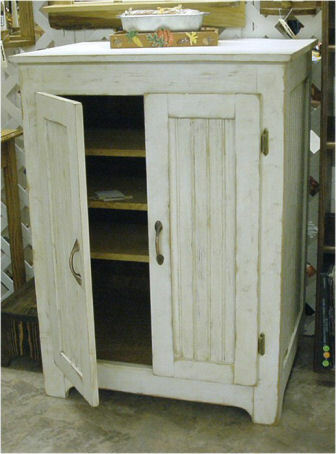 This is another Custom Pine Pantry / Cabinet that we made to the customers specifications. They wanted someplace to keep their canned goods (they must have a lot of canned goods!) We can make one just like this for you or If you want something similar to this but with different dimensions or color we can make that for you..